I bought my Linea Cake Stand sale a few month ago in a House of Fraser sale because of its clean, simple lines. 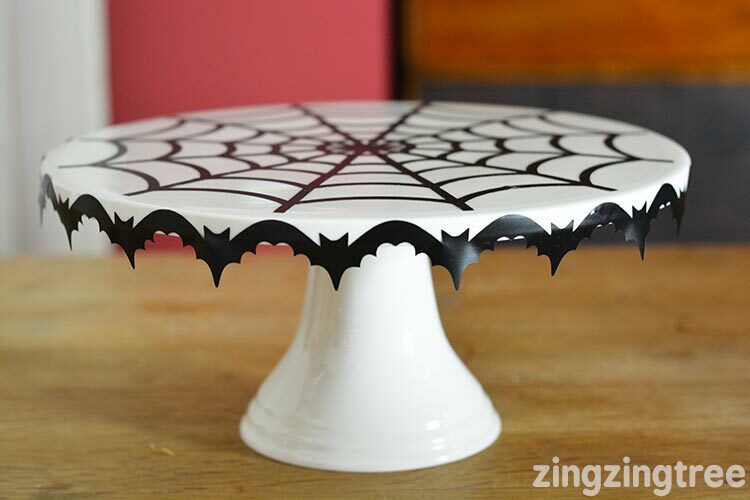 By adding some simple black vinyl cut outs I was able to turn what was a plain white piece of tableware into it an amazing Halloween Cake Stand. There’s nothing I like better than being able to temporarily make over classic tableware to suit different seasonal events and my Cricut Explore makes this very easy to do. The first thing I did was to measure the circumference of the cake stand and it’s rim depth. Using Border #MsE636 from the Teresa Collins; Chic & Scary cartridge, I welded three of the images together and then resized so that they would fit neatly around the edge (it’s worth doing a few test cuts to get it super sharp looking). I then duplicated the image three times and cut it out. Next I selected web1 #M2E3Eo, from the same cartridge and resized that so it would cover most cake stand top but leave a small gap just before it hit the edge. It takes a little patience to attache the images. I would recommend staring with the web, placing it carefully in the centre of the cake stand first, then carefully drop down one half and smooth out and then the other. Be careful not to stretch the vinyl as you place it. Again with the bats, a little patience helps. 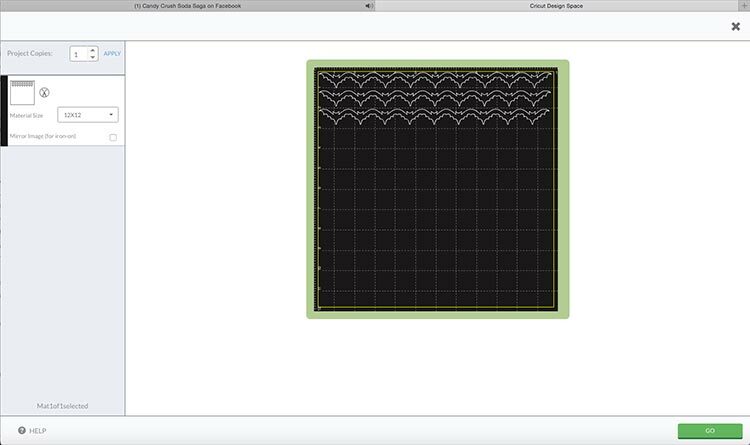 You need to overlay the ends of each bat section so the pattern repeats properly and the skill is in keeping the cut out love as you carefully lay it in place. 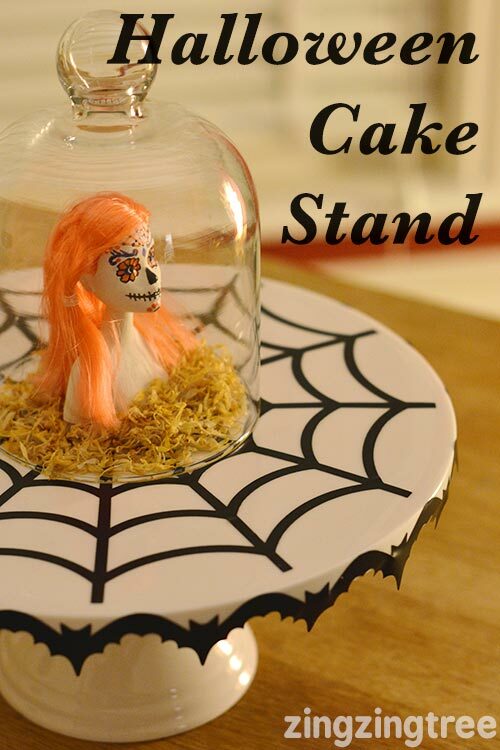 When your Halloween Cake Stand is finished you can either add cakes, biscuits, sweets etc or use it as a central piece in you Halloween Table layout by placing a Sugar Skull Doll (tutorial here) in the middle. 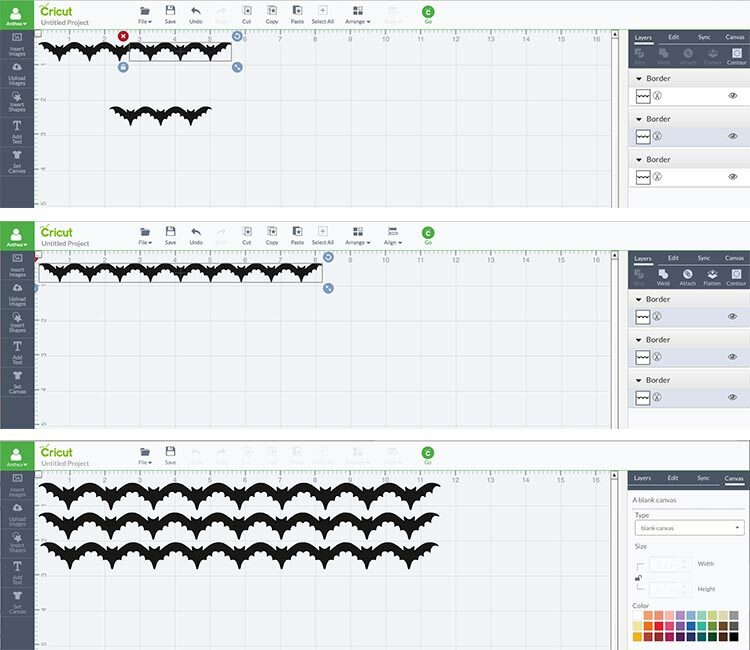 If you loved this then check out even more amazing Halloween Ideas using the Cricut Explore here. I have a cake stand just like this, yours looks brilliant all finished up! The photo above would make a very spooky table centrepiece for your Halloween party this year! The creativity in your stand is brilliant I love the way you designed it on the computer and got the bat design to go around your stand, also the web is great too I appreciate it when people take a little time to put detail into there creations. What a lovely spooky idea and it looks easy to do too. 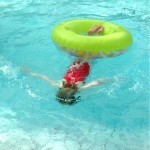 Oh Anthea you are clever!! This looks truly stunning. The Cricut is just brilliant isn’t it? Very creative! It looks super! 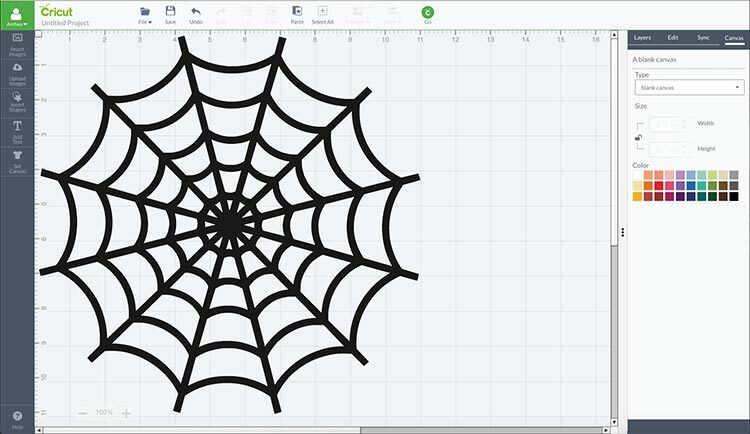 This is perfect for Halloween – and I do admire your patience in making it. I love cake stands at the best of times, but this is so cute! Wow this looks fantastic!! What a brilliant idea. Oh my gosh, you clever lady. wow that looks effective, a great idea. 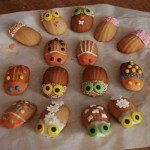 Oh this is fab, I bet you can be very creative with the circuit machine. It’s All To Do With A Blue Box!